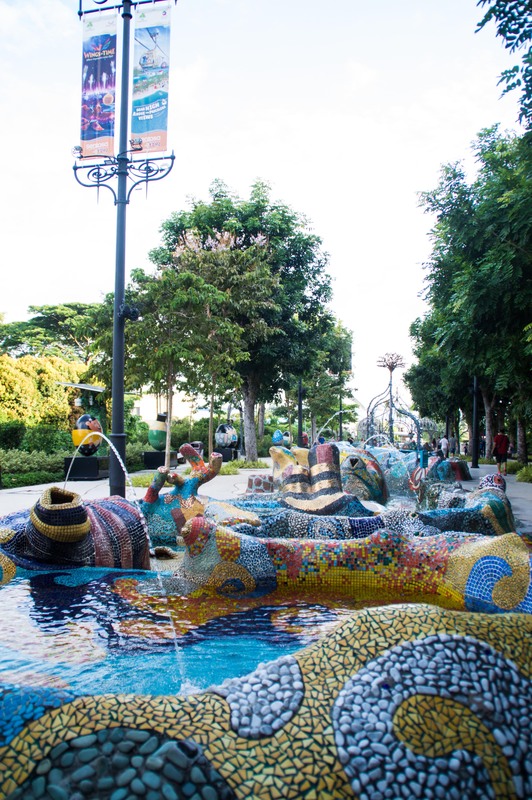 Top 5 things to do in Sentosa Island - CHOMP! SLURRP! BURP! Sentosa Island – Disneyland, Aquarium, Beaches, the Merlion, and Wings of Time. The Island is your perfect getaway for the day. The Southernmost point of Continental Asia, chomp on some deliciousness at Malay Street, take the free shuttle, visit the Butterfly garden or hop onto Universal Studios or Madame Tussauds. I happened to skip both of these and strolled through the Island and had the most relaxed day. Reaching Sentosa – the best route taken is via Vivo City Mall. You can take the toy train, cable car or walk on the Sentosa Broadwalk and reach the Island on foot. Walk with the fish, through tunnels, gorgeous corals, dolphins, jellyfish, and more circling and spiraling around you. They also have really cool interactive sessions that you can partake in, adorable, fluffiest toys and the most important bit of the exhibit, the adverse effects of global warming and pollution on the Marine life. The Aquarium is clubbed with a trip to the Royal Albatross, a daily ship with a restaurant aboard. During the day you would be welcome aboard with Captain Prasad and led through the history and more, the evenings are for a cruise dinner on the ship. You simply CANNOT miss this show in Sentosa. The breathtaking show takes place on the beach with light playing on water mist. The most beautiful experience, be sure to get a seat in the middle to enjoy the full view. You can carry munchies inside or buy some from the vendors within. Not a beachy city, Palawan and Siloso beaches on Sentosa are a perfect place to unwind and lay back. Walk up to the Southernmost point of Continental Asia and take a dip from the other side instead, it is much less crowded there. You can also choose to take a quick nap beneath the palm trees on your way to Palawan Beach for a greener and cooler view. 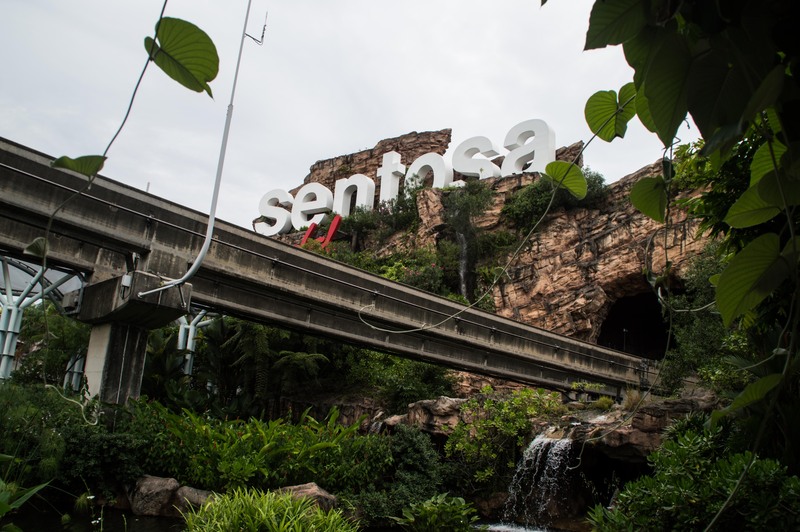 Even though Sentosa offers a toy train and cable car service through the island, the quickest way to get around is on foot. Take the trail of the Beach Walk for the most stunning views, Insta-worthy snap spots, gardens going hither and wither and a grand view of the Merlion and the sea beyond. Although the island has great juice bars, coffee shops on every corner, Starbucks, the dim sum famous Din ta Fung and Korean street food. The best chomping place although has to be the Malaysian Food Street,. Housing not only Malay delicacies but also Indian, the local delights of Laksa and Carrot cakes and more. 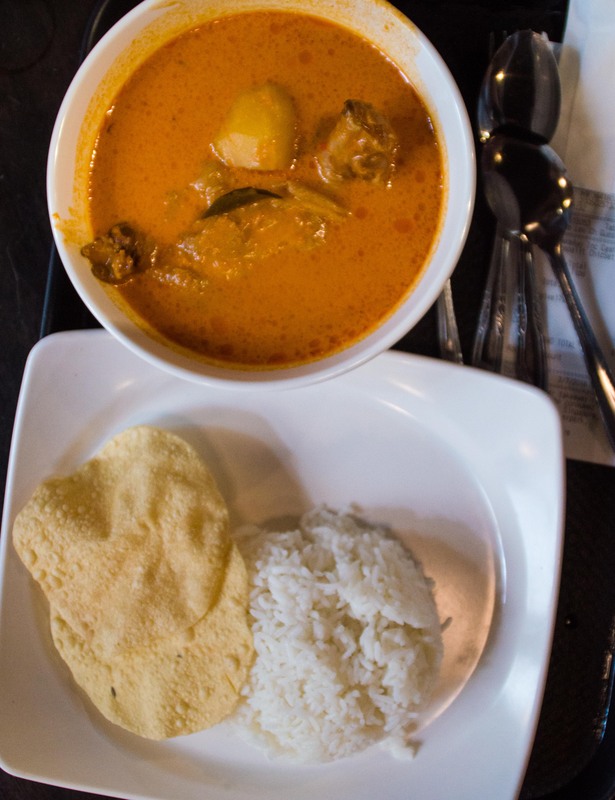 The must-have here – Sempalit chicken curry in light coconut milk, with rice and very South Indian papads. Sentosa Island is your perfect weekend getaway and with something to interest everybody. You can also check into one of the Resorts and make the best of the island and turn it into a never-ending ball. And if you don’t want to indulge in the offbeat path, Universal Studios, Madame Tussauds and the Trick eye Museum will always be there for you!